Are you looking for a perfect wedding gift, but everything seems too banal? Do you think dinner sets have gone out of fashion? Create your own unique pottery set and watch the delighted faces of the newly-wed! With DekorBuy, you will find that a set of plates does not have to mean boring shapes or patterns. 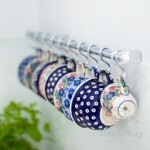 We offer mugs, bowls, plates and even small decorative items in various sizes. Forget the gilded china. Bolesławiec pottery combines beauty with functionality – what more could you wish for when starting a new life together? 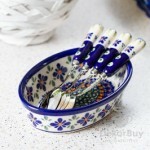 In our store, you can compose your own set of hand-painted dishes according to your own taste. 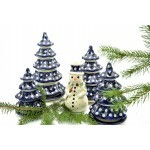 As the products we offer are unique, you have the guarantee that Bolesławiec pottery is truly one of a kind. We will help you create a wedding gift which will make the newly-weds remember the happiest day of their lives for many years.